Happy Friday! Yes, yes that is Chance the Rapper. My love. It was amazing, he was amazing his show was awesome. And yes, he tweeted at me!! -Got this pom pom tote bag (under $50) in for my trip to Nantucket and LOVED how big it was! Reading: I really want to pick up this new book from Kate Schelter -- I've been seeing all my friends rave about it recently! Weekend Plans: I have the itch to clean out my apartment so be sure to follow along with my shop page because I'll be selling a TON of stuff! 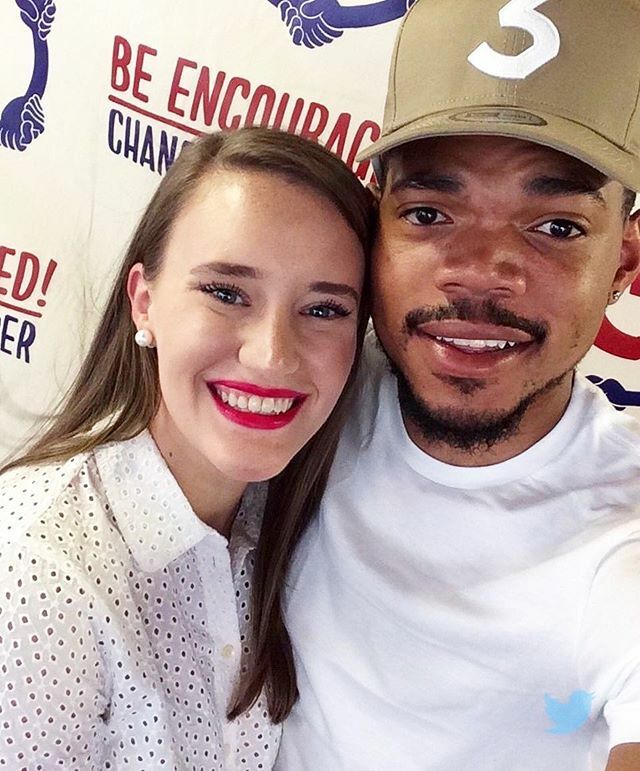 But um can we take a moment to talk about last weekend when I got to MEET CHANCE THE RAPPER. We hugged and he was so nice and we got the photo above and I about fainted. Highlight of the year! Throwback Post: A heart wall in NYC -- thinking I need to get back soon! A Must Read: The latest Instagram update that will make more transparency for sponsored posts! Can't wait for this to take effect! A Must Watch: "Waving Through a Window" by Ben Platt at the Tonys... I feel in love with the song and now I need to see the show! !